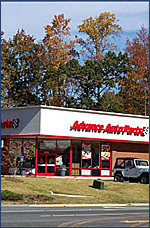 Stone Ridge Capital is pleased to announce the sale of an Advance Auto Parts store located in Lawrenceville, Georgia. The property was owned by First Citizens Bank and sold to a Georgia based Private Equity Group. This class A location is well positioned at Buford Drive and sits at the intersection of Highway 316 and Buford Drive in the heart of Lawrenceville, GA. Nearby retailers include Publix, Kroger, Tractor Supply, Waffle House, Burger King, Advance Auto Parts, Taco Bell, Wendy's, Panda Express, Quick Trip RaceTrac and others. 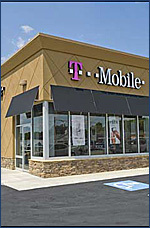 Stone Ridge Capital is pleased to announce the sale of a T-Mobile ground lease (15 years) located in Stone Mountain, Georgia. The property was owned by East Granite Capital, LLC and sold to a Nashville based Private Equity Group. 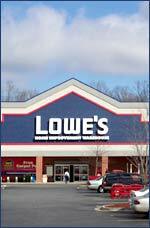 This class A location is well positioned at Highway 78 and sits at the main entrance to a Lowe’s Home Improvement. Nearby retailers include Kroger, Tractor Supply, Waffle House, Burger King, Advance Auto Parts, Taco Bell, Wendy's, Panda Express, Quick Trip and others. Stone Ridge Capital has completed the sale of a 2-story vacant health club building (freestanding) with approximately 60,000 square feet. The building sits on 6.18 acres contains 400 parking spaces. 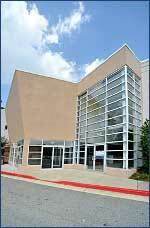 The building is conveniently located behind Towne Center Prado, a 318,038 square foot community shopping center located at the northeast corner of Bells Ferry Road and Barrett Parkway in the Town Center at Cobb regional mall trade area of Marietta, Georgia. This highly visible retail area has easy access for the Northwest I-75 and I-575 corridor. Towne Center Prado features a strong anchor tenant line-up including Publix, Barnes & Noble, Ross Dress for Less, Stein Mart, Party City, Monkey Joe’s, Petco, The School Box and other smaller retail stores. Stone Ridge Capital is pleased to announce the sale of North Road Plaza, a 247,434 SF shopping center anchored by a Wal-Mart Supercenter, TJMaxx and national shop tenants located along U.S Route 178 (North Road) in Orangeburg, South Carolina. North Road Plaza was developed in 1994 and is anchored by a 196,674 SF Wal-Mart Supercenter and a 22,560 SF TJ Maxx (a new 10 year lease was signed in 2010). The balance of the center features an additional 28,200 SF of national and regional retailers ranging in size from 1,200 SF – 6,200 SF including CATO, Hibbett Sports, Sally Beauty, Subway, Shoe Show, GameStop and Rent-A-Center. Stone Ridge Capital is pleased to announce the sale of a McDonald's ground lease (20 years) loacted in Canton, Georgia. The property was owned by City Creek Capital, LLC and sold to a California Trust. 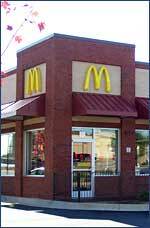 McDonald's developed the new fast food restaurant on the site in 2006. This class A location is well positioned at the intersection of Hickory Flat Highway and East Cherokee Road. Nearby retailers include Publix, Korger, Tractor Supply, Waffle HOuse, Burger King, Advance Auto Parts, Taco Bell, Wendy's and others. Stone Ridge Capital is pleased to announce it has SOLD a Wal-Mart Supercenter and Lowe's Center featuring a Chase Bank anchored strip center, Shell Gas Station and 2 free standing restaurant buildings. The retail center located in Lexington, KY. was sold on behalf of Developers Diversified Realty. South Farm Marketplace, a 356,277 square foot community shopping center (100% occupied) is located in the southern part of Lexington, Kentucky at the intersection of Man-O-War Blvd.& Nicholasville Road adjacent to the Fayette Mall. South Farm features a solid tenant base and is anchored by Wal-Mart Supercenter (188,756 SF)(non-owned), Lowe's(127,881 SF) (non-owned), shops totaling (9,800 SF)and 2 solid outparcel resturant building tenants. Stone Ridge Capital is pleased to announce it has SOLD a Wal-Mart Supercenter and Staples anchored retail center located in Lexington, KY on behalf of Developers Diversified Realty. North Park Marketplace, a 252,934 square foot community shopping center (100% occupied) located in Lexington, Kentucky. North Park features a solid tenant base and is anchored by Wal-Mart Supercenter (204,014 SF)(non-owned), Staples(23,942 SF) and an outstanding line-up quality retail shops (19,705 SF). The shopping center is further enhanced by a superior line-up of national outparcel tenants. Stone Ridge Capital is pleased to announce it has SOLD an Albertson's anchored retail center located in Tampa, Flordia on behalf of Developers Diversified Realty. Bloomingdale Hills, a newly developed 78,686 square foot grocery-anchored shopping center (99% occupied) located in Riverview, (Tampa) Florida. Built in 2002, Bloomingdale Hills features a solid tenant base and is anchored by Albertsons Grocery store (61,286 SF), St. Joseph Children’s Hospital of Tampa (6,000 SF) and an outstanding line-up quality retail shops. The shopping center is further enhanced by a superior line-up of national outparcel tenants including Hollywood Video, McDonald’s, Wendy’s, Subway and Amscot Financial. 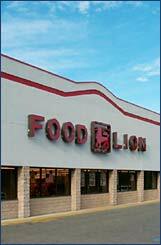 Stone Ridge Capital is pleased to announce the recent sale of a single tenant Food Lion portfolio owned by National Retail Properties. The assets are strategically located in Florida, Tennessee, Virginia and West Virginia. Stone Ridge Capital is pleased to announce it has SOLD 3 retail properties located in Georgia on behalf of Developers Diversified Realty. The shopping centers sold include Felton's Crossing (Cartersville), River Place (Canton) and Fort Ogelthorpe Marketplace. 1. Fort Ogelthorpe, GA - 177,583 Sq. Ft.
2. 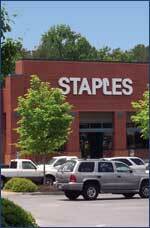 Cartersville, GA - 112,240 Sq. Ft.
3. Canton, GA - 127,853 Sq. Ft.
National Retail Properties (NNN) has retained the Real Estate Advisory Group of Stone Ridge Capital (SRC) to provide marketing services for a portfolio of single tenant Food Lion anchored properties throughout the Southeastern United States. 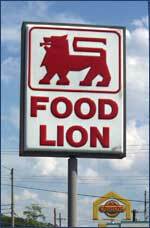 The Food Lion assets are strategically located in Florida, Tennessee, Virginia and West Virginia. Developers Diversified Realty (DDR) has retained the Real Estate Advisory Group of Stone Ridge Capital (SRC) to provide marketing services for shopping centers and single tenant properties throughout the Southeastern United States. The retail property types will include specialty, neighborhood and community shopping centers and single-tenant assets. The properties are strategically located in Georgia, North Carolina and Virginia. Stone Ridge Capital (“SRC”) is pleased to announce the sale of Taft Church Station developed by Beck Property Company, Inc. & BridgeStar Development Company, Inc. Taft Church Station, an 18,700 square foot shopping center is located in Sparta, Tennessee. Completed in September 2004, Taft Church Station features a solid national and regional tenant base and is shadow anchored to a newly opened 167,000 square foot Wal-Mart Supercenter. 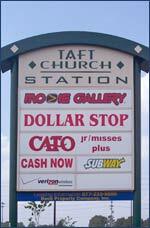 The shop tenants include Cato Fashions, Movie Gallery, Subway, American Cellular, Cash Now Advance and Dollar Stop. Properties SOLD for Developers Diversified Realty. 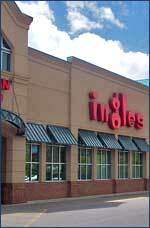 Stone Ridge Capital was retained to be the exclusive marketing advisor for the sale of two (2) additional quality retail properties located in Canton, Georgia and Peachtree City, Georgia. The new property offerings include shadow-anchored Super Wal-Mart shop space, Staples, shops and single-tenant restaurant assets including On the Border and Macaroni Grill. Stone Ridge Capital is pleased to announce it has SOLD 5 retail properties located in Georgia and Tennessee on behalf of Developers Diversified Realty. The property offerings included specialty, neighborhood and community shopping center and single-tenant assets. Stone Ridge Capital is pleased to announce the recent sale of Southland Plaza, a 122,956 square foot shopping center located in the heart of Decatur, Alabama. 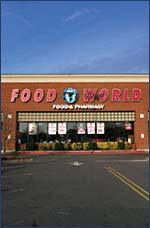 This recently renovated grocery anchored center features a 48,982 square foot Food World (Ahold) grocery store and six (6) Jr. Anchor tenants. The Jr. Anchor tenants include Movie Gallery, Jimmy Smith Jewelers, Roger's Department Store, Mattress King and Handy TV & Appliance. SRC's Real Estate Advisory Group exclusively arranged the sale on behalf of Developers Diversified Realty. Stone Ridge Capital is pleased to announce the recent sale of Marketplace on behalf of DDR. 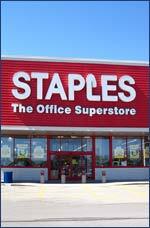 SRC's Real Estate Advisory Group exclusively arranged the sale of Staples and Goody's anchored retail center located in Nacogdoches, Texas. The shopping center features an outstanding line-up of national shop tenants including Friedman's Jewelers, AT&T Wireless and others. 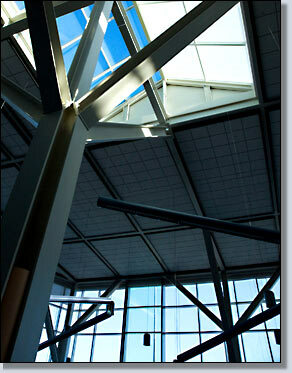 The shopping center was built in 1999 and contains 54,413 square feet. At the time of sale, the property was 100% occupied. Stone Ridge Capital’s real estate group is pleased to announce the completion of the following single tenant investment property transactions arranged exclusively on behalf of Developers Diversified Realty, totaling in excess of 550,000 square feet and valued at more than $61 million. Stone Ridge Capital is pleased to announce the sale of three (3) single tenant triple net leases arranged exclusively on behalf of Developers Diversified Realty. Fayetteville Specialty is an 8.3 acre single tenant development located in the heart of Fayetteville, GA. 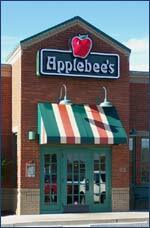 Built in 2000, the development includes Chuck E. Cheese's, Applebee's and Eckerd. The properties are located at the intersection of Georgia Highway 85 and Georgia Highway 314 in the heart of Fayetteville, GA.
Stone Ridge Capital is pleased to announce the sale of 4 single tenant ground leases arranged exclusively on behalf of Developers Diversified Realty. 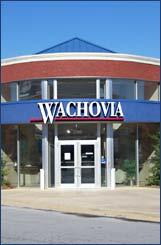 The single tenant assets include Wachovia Bank, Ryan's Family Steak House, Kauffman Tire and Sonny's Bar-B-Q plus 1 undeveloped outparcel. The properties are located at Mill Creek Crossing (a Wal-Mart and Lowe's Shopping Center) located in Buford, Georgia. Developers Diversified Realty (DDR) has retained the Real Estate Advisory Group of Stone Ridge Capital (SRC) to provide marketing services for shopping centers and single tenant properties throughout the United States. The property types include grocery and power anchored centers, shadow-anchored and home improvement centers. The properties are strategically located in Texas, Mississippi, Alabama, Georgia. In Topeka, Kansas, the Real Estate Advisory Group of Stone Ridge Capital recently arranged the sale of Bauersfeld's Market Place shopping center, a 126,869 square foot grocery anchored center, on behalf of JDN Realty Corporation. 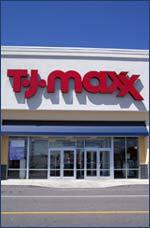 The recently renovated shopping features a 47,860 square foot J.M. 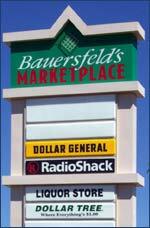 Bauersfeld's Market Place and several other national shop tenants including Radio Shack, Dollar Tree, Dollar General, Fantastic Sam’s and Capital City Bank. 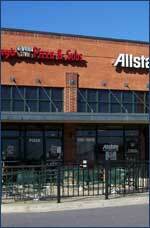 Stone Ridge Capital recently completed the sale of Tri-State Crossing Shopping Center on behalf of JDN Realty. 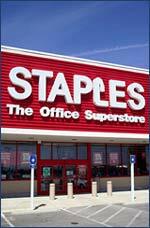 SRC exclusively arranged the sale of a 159,359 square foot Lowe’s anchored retail center located in Burlington, Ohio. The shopping center features a 125,357 square foot Lowe’s Home Improvement Warehouse and an outstanding line-up of national shop tenants including Fashion Bug, Blockbuster, GNC, Dollar Tree, Sally Beauty, Friedman's Jewelers, Radio Shack and others. The shopping center also sits next to a Sam’s Club and Wal-Mart. 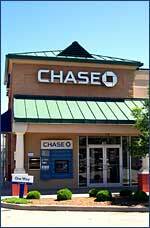 At the time of sale, the Tri-State Crossing was 100% occupied. Stone Ridge Capital’s real estate group is pleased to announce the recent sale of 2 freestanding Lowe’s Home Improvement Center’s on behalf of JDN Realty Corporation. 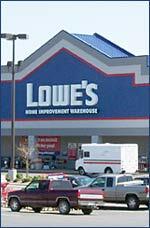 SRC exclusively arranged the sale of a 135,197 square foot freestanding Lowe’s located in Opelika, Alabama and a 128,997 square foot freestanding Lowe’s located in Stone Mountain, Georgia. 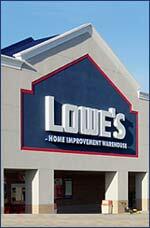 Both Lowe’s were developed by JDN in 1999. SRC's Advisory Group is pleased to announce the recent sale of Jeffrey's Crossing on behalf of JDN Realty. SRC exclusively arranged the sale of a TJ Maxx and Petsmart anchored retail center located in Rocky Mount, North Carolina. The shopping center was developed by JDN in 1999 and has an outstanding line-up of national tenants including Pier 1, Shoe Carnival, Sally Beauty, Supercuts, Mailboxes, Etc.and others. 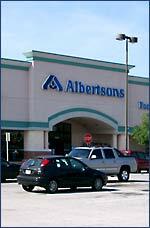 The shopping center contains 68,060 square feet and at the time of sale, the property was 100% occupied. On behalf of JDN Realty, Stone Ridge Capital is pleased to announce the recent sale of a 9,611 square foot free-standing Golden Corral Restaurant located in Bradenton, Florida. 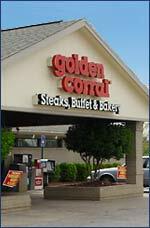 The single tenant building was developed for Golden Corral by JDN Realty in 1999. The 20 year net lease / build-to-suit for Golden Corral was part of a larger retail development, which included a Wal-Mart SuperCenter. Stone Ridge Capital is pleased to announce the recent sale of Dodge County Marketplace on behalf of JDN Realty. SRC's Real Estate Advisory Group exclusively arranged the sale of a Wal-Mart and Food Lion anchored retail center located in Eastman, Georgia. The shopping center features a newly renovated 35,000 square foot Food Lion grocery store and an outstanding line-up of national shop tenants including Movie Gallery, Cato, Subway, Friedman's Jewelers, Advance America and others. The shopping center was built in 1990 and contains 94,668 square feet. At the time of sale, the property was 100% occupied. JDN Realty Corporation has retained the Real Estate Advisory Group of Stone Ridge Capital to provide marketing services for 14 newly developed shopping centers throughout the United States. 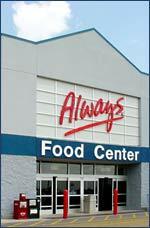 The property types include grocery and power anchored centers, shadow-anchored and home improvement centers. The properties are strategically located in Ohio, Illinois, Indiana, Texas, Mississippi, North Carolina, Alabama, Georgia and Florida.